You’ll need a passport issued from your country of citizenship. 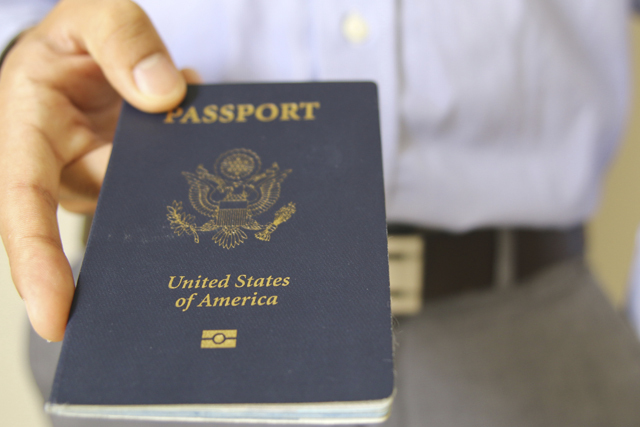 Your passport should not expire within 90 days of travel, though some airlines recommend the expiration be at least six months out from the date of travel. You will need at least two blank pages to accommodate Cuban entry and exit stamps. The fee varies for this visa, but expect to pay anywhere from $30-$100 for this document depending on where and how you purchase it. Once you receive it, make sure you complete it correctly and completely, as they are expensive to replace if there are errors. Your Cuban visa allows you to be in the country for 30 days. Beyond that time period, you can get an extension for a maximum of another 30 days. One of the conveniences of traveling with insightCuba is that we will handle the visa for you. We'll guide you through the entire process to ensure your visa is secured in a timely manner and completed correctly. At several times during your visit, you may be asked to state your reason for travel, so make sure your activities in Cuba apply to the category you declare. It's also a good idea to keep a record of your itinerary in case you are questioned about it later. We at insightCuba, keep a record for all guests who travel with us. Traveling with insightCuba will give you peace of mind since our guests do not need to apply for a license when traveling on on of our Cuba tours. Our people-to-people tours to Cuba have been authorized since 2000 when President Clinton origionally introduced people-to-people travel. Our trips are 100% authorized and provide guests with unique access to people and places the average tourist rarely sees. Visitors to Cuba must purchase their own health insurance. This can be obtained through a travel insurance company. In some cases, your U.S. originating flight will include the cost of travel insurance. You’ll want to keep your travel insurance documentation on your person at all times in case you’ll have to use it. Remember, insightCuba handles your health insurance as well. Should you visit Cuba with us, we'll make sure your coverage is valid during the time you'll spend with us in Cuba. Upon entering and exiting the country you’ll have to declare what you are transporting in or out of the country. There are limitations on things like the amount of cash you can bring along with commercial goods, plants, animals, etc. Upon re-entry to the United States, you can expedite your customs interaction by using the Mobile Passport Control app. You can submit your customs declaration form through the app to receive an electronic receipt with an Encrypted Quick Response (QR) code which you may use at the customs re-entry point with your smartphone or mobile device. Finally, you’ll also want to take care and keep these documents mentioned handy, especially at the airport and secure in a place like a safe otherwise. Take pictures of all your traveldocumentation and share it with others back home and those you are traveling with in case you need to replace them at any time. Make your trip to Cuba a memorable one by keeping all your ducks in a row with impeccable organization of all the documents you’ll need to get in and out of the country without problems.